Are you ready to incorporate project-based learning into your curriculum? 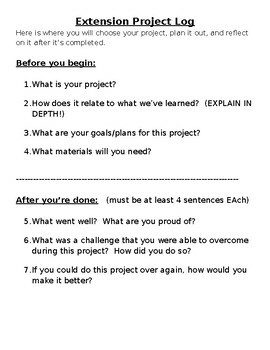 This form can be filled out by your students to help them choose an extension project, relate it to the curriculum you've been teaching, and reflect on their process! This can be used for any subject!